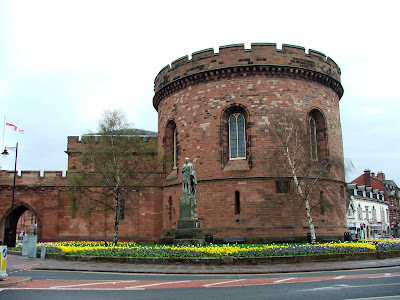 Prior's Tower can be found in the Cathedral precincts, backing onto West Walls, and is an impressive early 16th century pele tower. 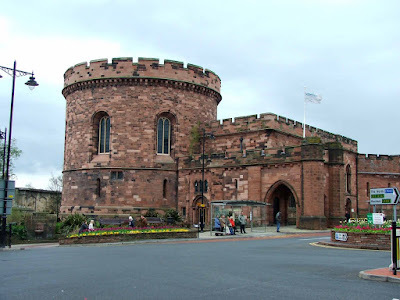 Built in 1507, the tower was designed to offer a place of refuge against any attacks on the city, for the Prior, Simon Senhouse (the builder of the Cathedral gatehouse). 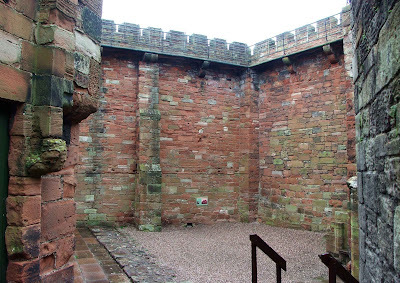 The tower's walls are just under 2 metres thick in places, providing a good level of defence against whatever may have been thrown at it. Considering that the tower is just within the city walls, it's well protected anyway, and would have provided a good lookout across the river Caldew. 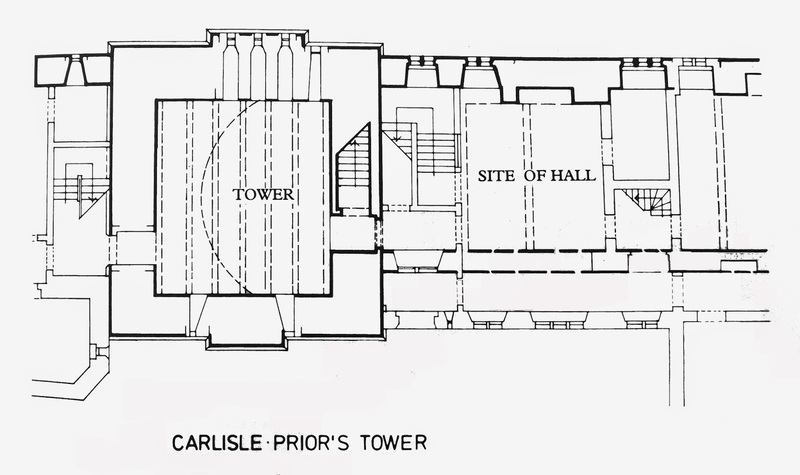 The tower is of three storeys, however it's thought that the third storey may have been a later addition. 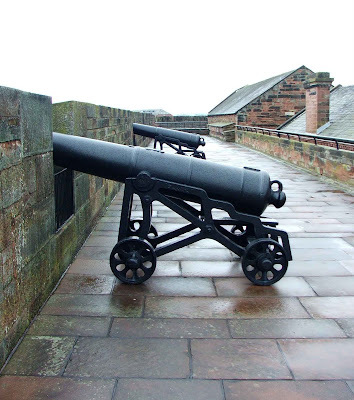 This would mean that it would have say neatly behind the city walls, with only the ramparts visible. 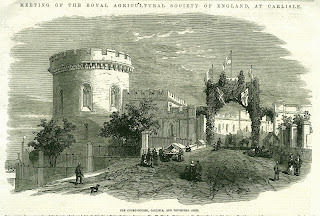 The building to the right of the tower in the photo below, is thought to be built on the site of the Hall, which would have been connected to the tower, providing additional living quarters and associated rooms for whomever was living there. 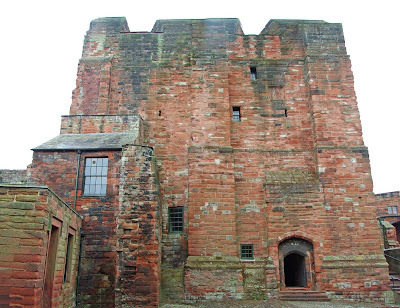 Beyond the Prior's Tower, there was once a second pele tower, probably laying around 100 yards to the West. 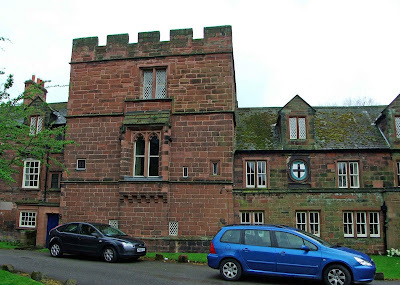 The Bishop's Tower was built in the mid 14th century, and would most likely have formed part of the Western range of monastic buildings long since demolished. 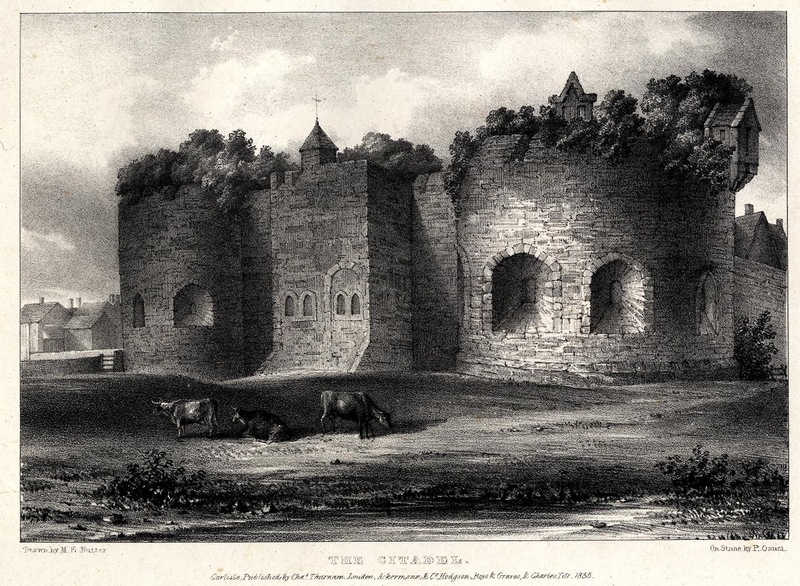 The tower likewise, has long since gone, probably demolished in the 1640's. 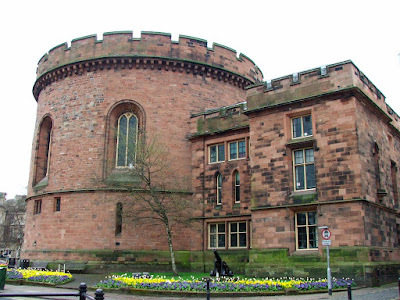 The tower can be viewed from the Cathedral precincts, and also from the walk way behind, following the West Walls walk. 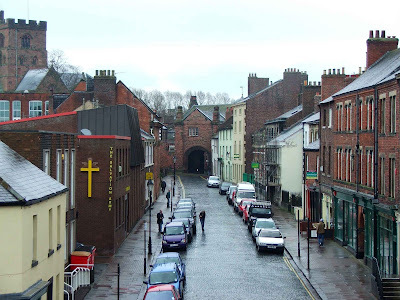 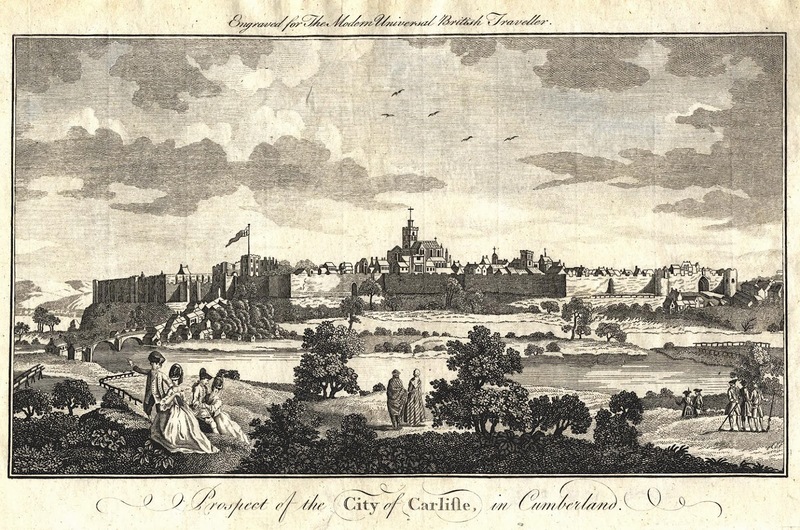 The city of Carlisle was originally a place of importance to the Romans, and went by the name of Luguvallum. 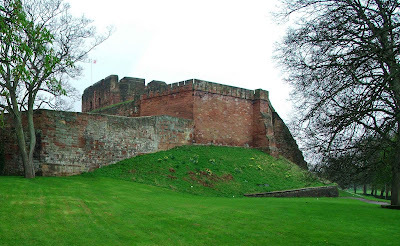 It was fortified by them, against attacks from the Northern tribes, namely the Picts and the Scots. 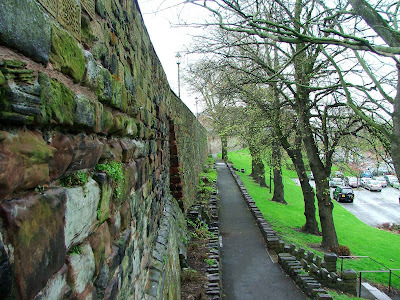 The city walls were so immense and strong, that long after the Romans left Britain, there were significant amounts of masonry remaining in place. 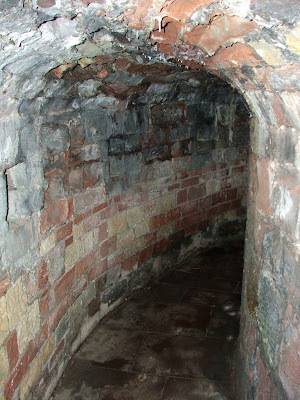 These remains withstood the ravages of Danish attacks on the city, especially an attack in 875, when the city was laid to waste by their attacking armies. By all accounts, the city remained in ruins for some time, until William Rufus ordered that the newly rebuilt city be surrounded by a strong defensible wall. 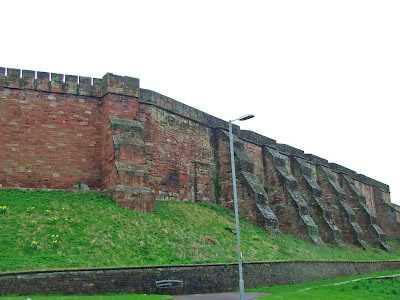 The remains of the Roman built walls were incorporated into the new defences, and by around 1092, the city had its own garrison and probably fledgling walls. 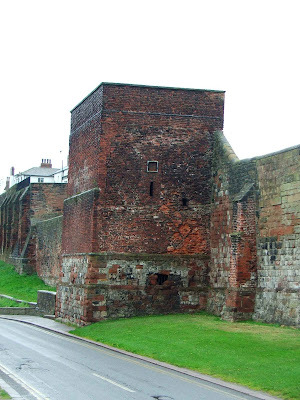 By around 1122, money for the building of the walls had been supplied, as well as money for the building of a castle. 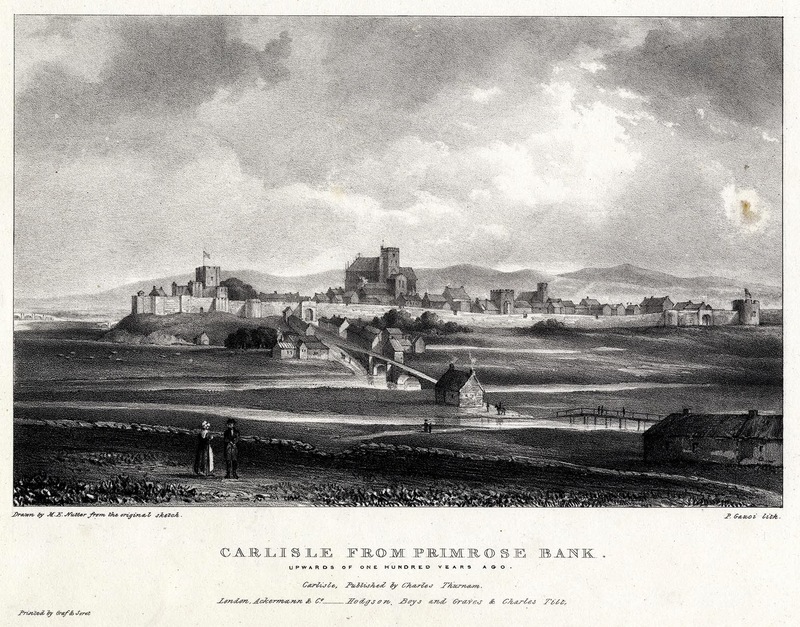 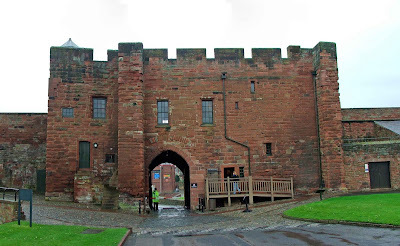 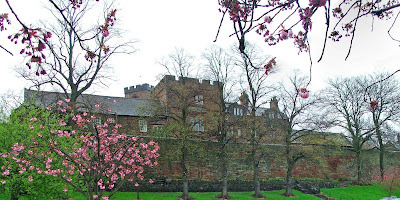 Although the walls and castle were started by the English King and his subjects, it’s likely that they were finished by King David I of Scotland, who for a number of years took possession of Carlisle and even resided there. 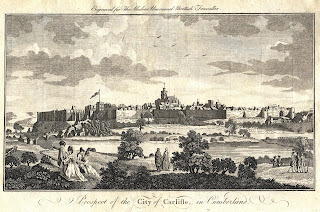 The upkeep of the city walls as defences for the city, were mainly paid for by the crown, but a certain amount of responsibility lay with the citizens of Carlisle. 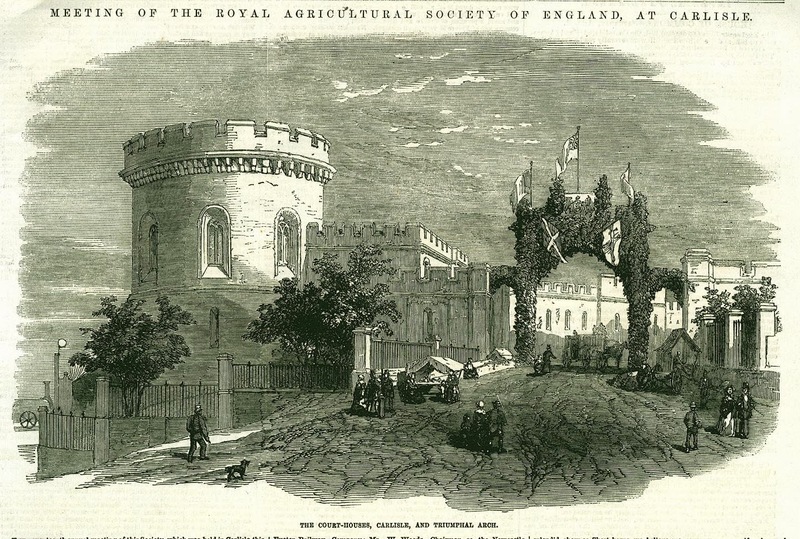 Occasional Royal grants were made for repairs and extensions, but these were more often than not insignificant and mostly did not pay for the work that was required. 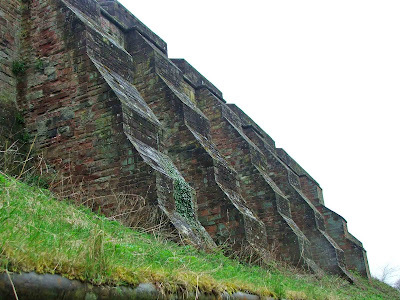 In the early 1340’s, a section of wall was described as being “ruinous for want of repair” and in 1347 another portion of the wall was desperately close of collapsing altogether. 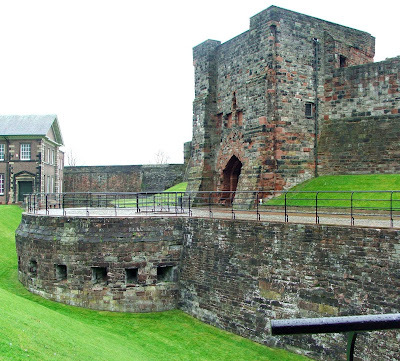 Between 1422 and 1426, £286 and 16shillings was spent on the city’s defences (the walls) and the castle. 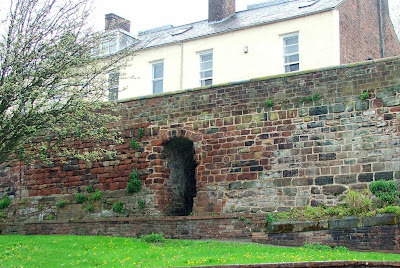 In 1429, the walls and especially the gates, were so badly decayed, that it was said that if a hostile army had attacked the city, it would most likely have been lost. 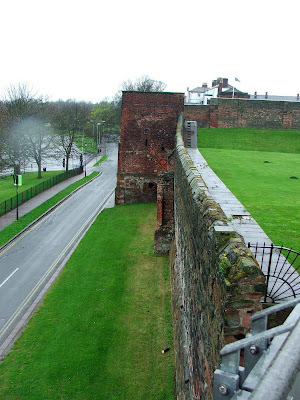 It seems that the city walls have been a constant drain on finances, and they have been rebuilt, refaced, strengthened and heightened on several occasions. 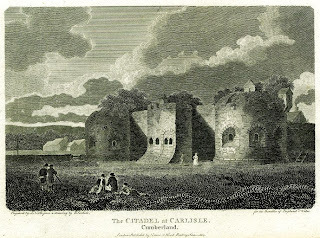 The walls eventually encircled the whole city, culminating in the castle to the North of Carlisle. 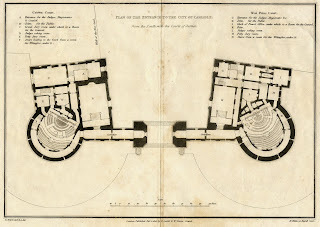 Above. 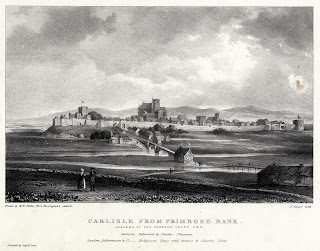 View of Carlisle with its complete circuit of walls. 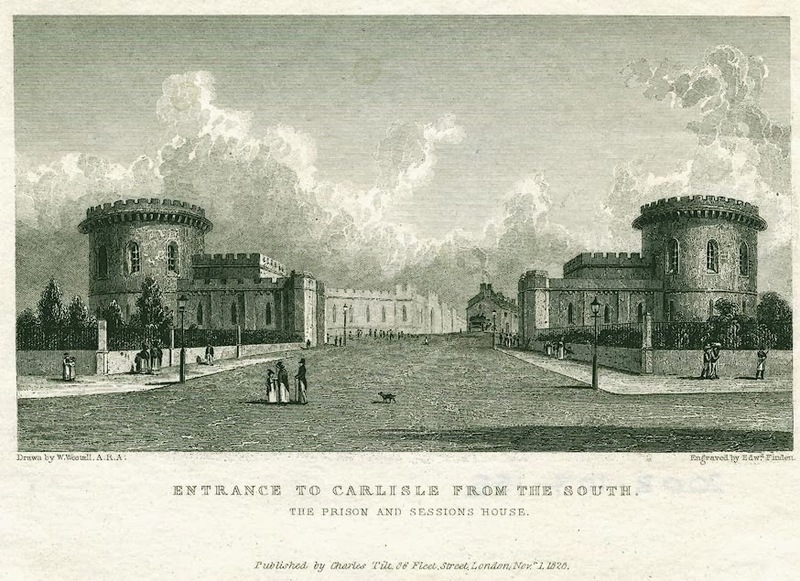 These days, all that remains of the walls that once encircled the entire city, are the West walls running along side the railway with the car park in between, and the curtain walls around the castle. 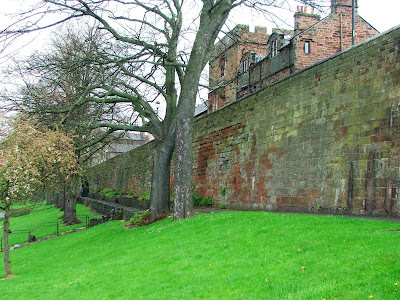 The Norman and medieval walls to the East and the South of the city have completely vanished, taken down and built over. 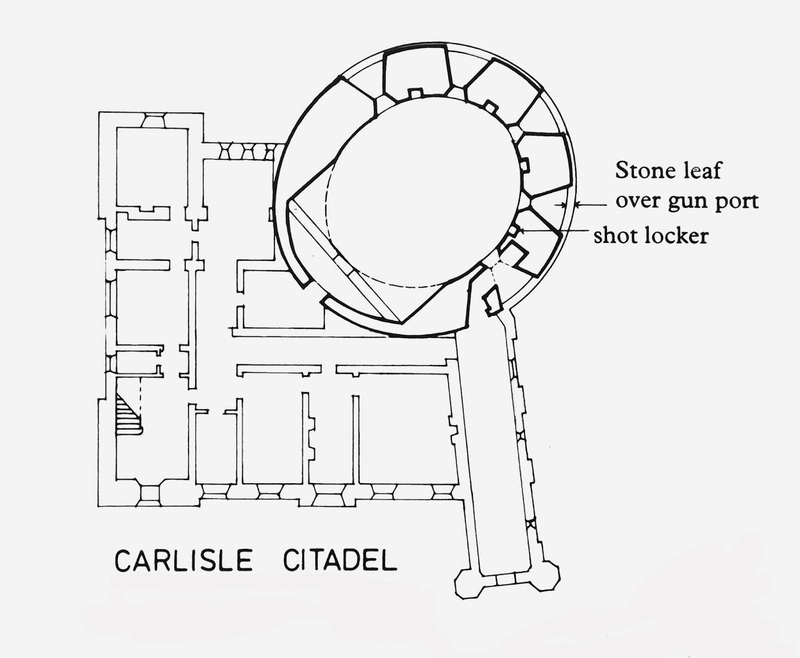 Above. 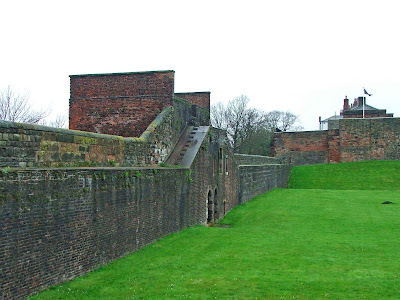 Portion of city walls to the South East of the castle. 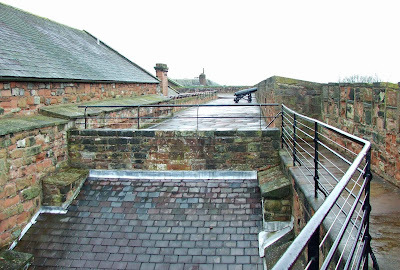 Above. 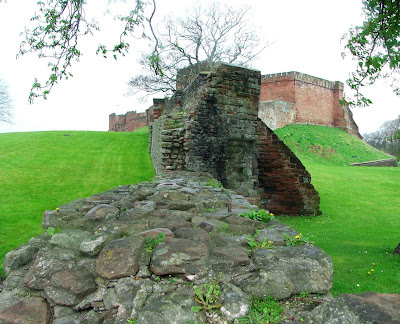 Remains of the city walls to the South West of the castle. 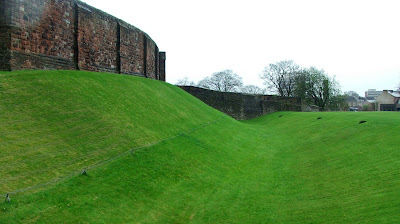 There are small portions of the city walls to the South East and South West of the Castle, but these remains are only a few hundred yards long each. 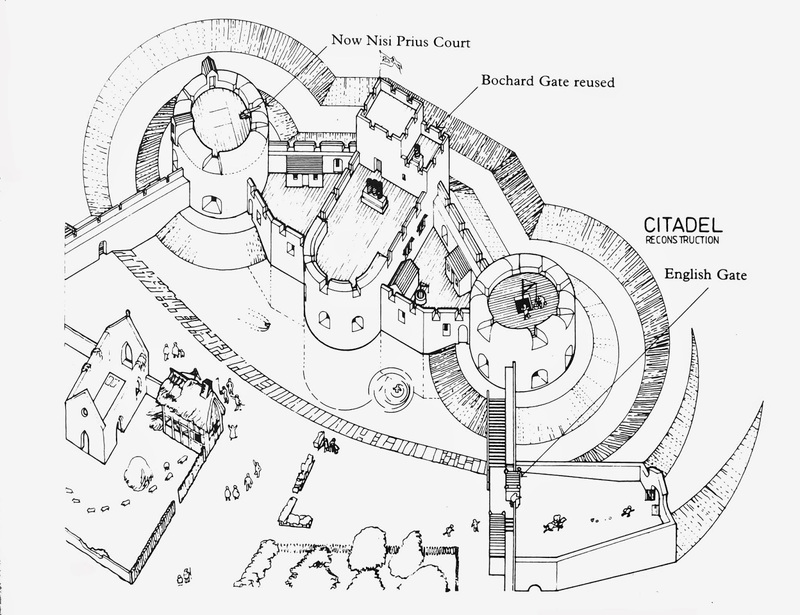 The West Walls, the portion running from the car park right around to the South West corner of the castle can be walked, and provide a good access point to the castle to the North of the city, and the shops to the South. 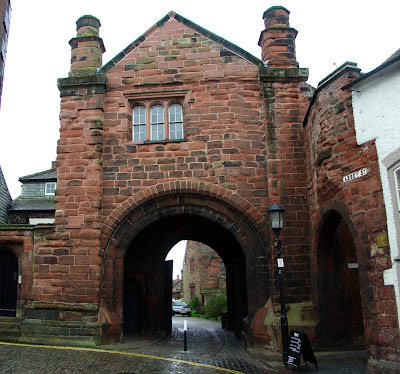 Built for Prior Christopher Slee in 1528 the gatehouse would have protected and controlled the entrance into the cathedral precincts. 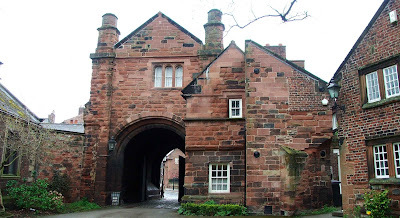 The gatehouse has variously been known as The Abbey Slee’s gatehouse, Abbey Street Lodge and the Abbey Gate and Gatehouse. 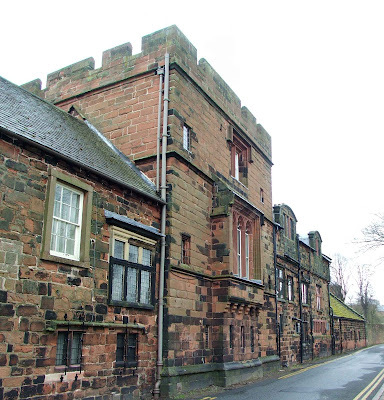 It is built of the locally recognisable red sand stone, and stands at the head of Dean Tait’s Lane, where Paternastor Row and Abbey Street meet. 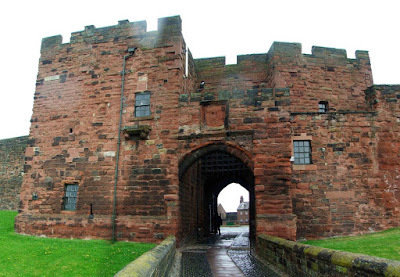 The huge wooden doors that can be seen within the archway are the originals. 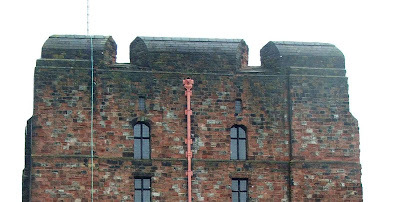 Above. 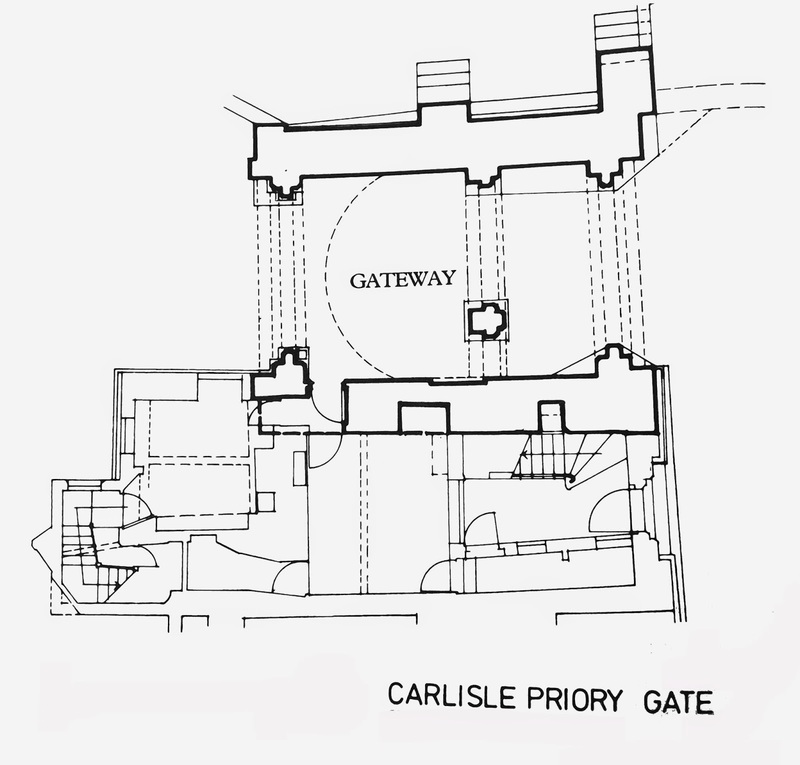 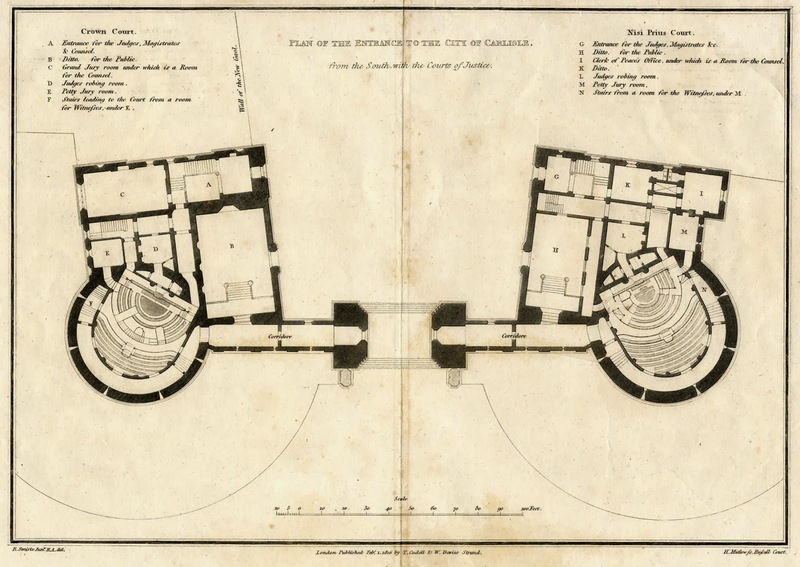 Floor plan of the Priory Gatehouse. 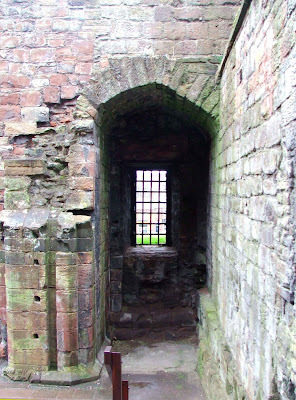 From the inside of the precincts, and looking at the gatehouse, an incomplete archway can be seen on the right hand side of the gatehouse, indicating the demolition of some buildings here. 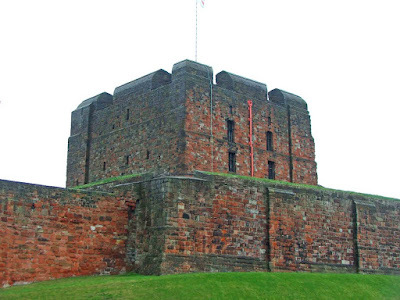 Originally the gatehouse would have had battlements, but these have been removed over the years. 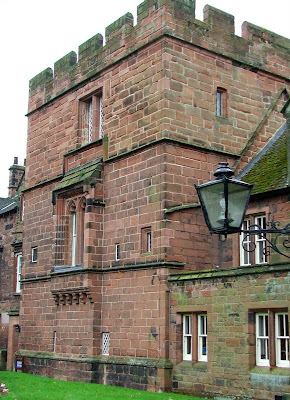 Above the gateway, are the Registry offices of the dean and chapter.